The new pension scheme for the informal sector which was announced by Finance Minister Piyush Goyal in the Budget 2019, will be open for subscription from 15th February 2019. Pradhan Mantri Shram Yogi Maandhan (PMSYM) scheme will be open for unorganized sector workers under the age of 40 years earning up to Rs 15,000 every month. PMSYM pension scheme entails a minimum monthly pension of Rs 3,000 after the age of 60 years to its beneficiaries. PMSYM pension scheme main aim is to provide pension to the unorganized sector workers with monthly income up to Rs 15,000 and is expected to join 10 crore workers' in the next 5 years. 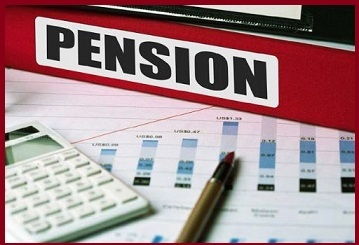 For PMSYM pension scheme an allocation of Rs 500 crores has been made in the interim budget. Under the PMSYM pension scheme, the workers joining the age of 18 years will have to deposit the monthly amount of Rs. 55. The government will also contribute the same amount. A monthly contribution of the person who joins the scheme at a greater age will also increase. The worker who joins the scheme at the age of 29 will have to contribute a monthly subscription of 100 rupees whereas a 40 year old person will have to contribute Rs. 200 per month for the scheme. Under the scheme, the contribution will be made until the age of 60 years. PMSYM pension scheme is designed to help workers in the unorganized sector engaged in ray-track drivers, rickshaw pullers, construction workers, garbage collectors, bead makers, handlooms, agricultural laborers, cobbler, washers, leather workers and many others.